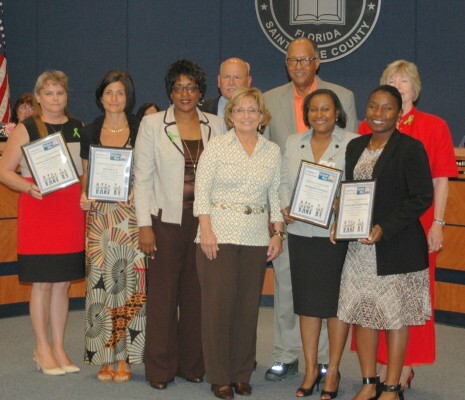 At the school board meeting on May 12th, Karen Knapp, Monte Kosoff, Horace Webb and Roxanne Wells from United Way of St. Lucie, presented plaques to the schools with the highest student and employee campaign fund raisers for 2014-2015. 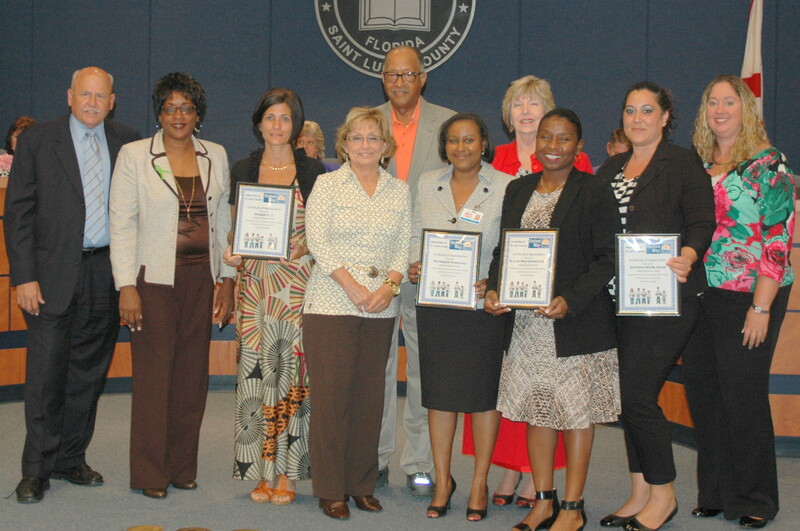 The winners in the Highest Student Campaign were West Gate K-8 ($1,028); SLW Centennial High ($979); Frances K. Sweet Elementary ($503); and Southern Oaks Middle ($335). The winners in the Largest Employee Giving were SLW Centennial High ($1,735); West Gate K-8 ($1,616); Morningside Elementary ($1,455); and Southport Middle ($816). The Largest Campaign Overall, Student and Employee Combined, went to West Gate K-8 with a total raised of $2,884; SLW Centennial High with a total raised of $1,735; Morningside Elementary with a total raised of $1,455; and Southern Oaks Middle with a total raised of $1,096. The campaign grand total raised was $36,983. PreviousPrevious post:May’s STAR Award Recipients RecognizedNextNext post:Savanna Ridge VPK Families Enjoyed a Day of Learning!